So, it’s with pride I announce a new series on WereRabbits: Grain reviews! Each episode will review a different type or variety of food grain, some of its background, my own opinion and my favourite recipe for it. Something simple and not too exotic for the first installment of this series. 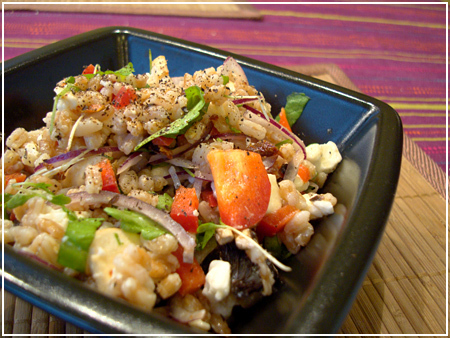 Made from durum wheat, Bulgur is a staple food in most middle eastern countries. The whole grain is parboiled, then cut, and the bran removed (except in the case of wholewheat bulgur, which I will review separately when I get my hands on a packet). Usually, you can get several different cut sizes, and any supermarket I’ve been to that has a middle-eastern section has at least a coarse and a fine variant. Like couscous (which is actually pasta and therefore not a proper grain at all), Bulgur can usually be prepared by adding salt, boiling water or stock and a bit of fat (butter or olive oil). However, some of the variants I have encountered (looking at you, Saltå Kvarn!) are somewhat tougher and actually need to be boiled for a few minutes to start soaking up the water properly. When that happens, what should you do? My tip: Just toss the bowl in the microwave for 1-2 minutes and you’ll be fine. Bulgur is a great replacement for couscous in a lot of middle-eastern dishes if you want to add a bit more of that whole-grain healthiness. Sadly it also adds somewhat more dryness and crunchyness to the mix. 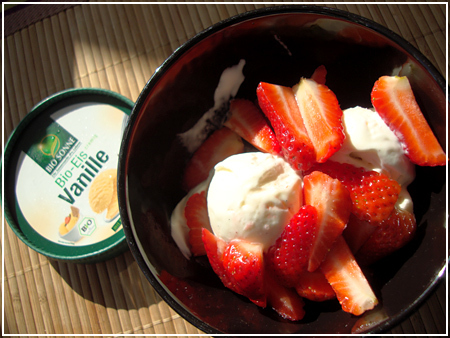 If you are good with not having to balance that up with a lot of calories, power to you! 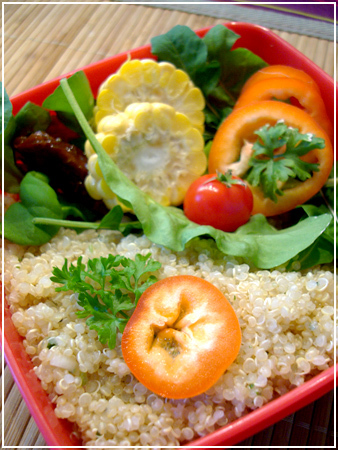 I like Bulgur in my bento boxes because it is a lot more filling than couscous while just as quick and no-frills to prepare. It’s also very cheap and readily available almost everywhere. 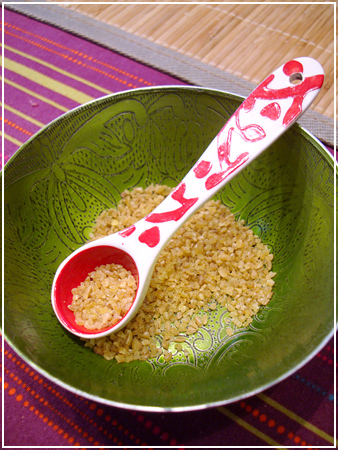 And my favourite recipe with Bulgur? 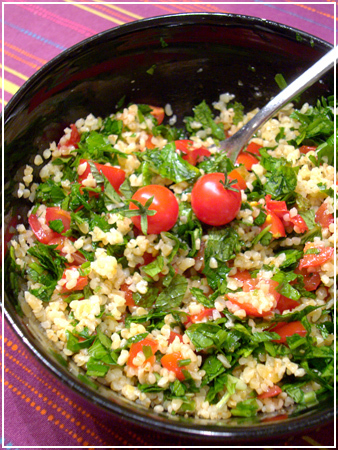 Probably the middle-eastern salad, Tabbouleh is tasty, refreshing and overall delicious. I’ve seen varieties that went from mostly bulgur to mostly parsley and everything in between, so I don’t think you should run with set amounts on each ingredient. Just try combining them and see what works for you. 2 Tsp. lemon juice and 2 Tsp. olive oil. 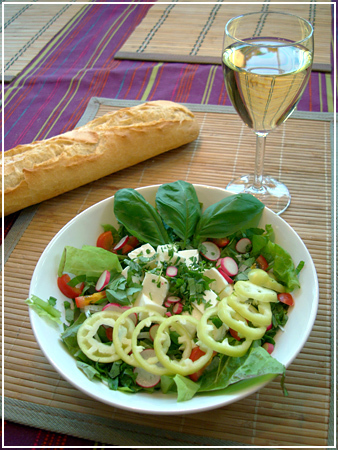 Just combine everything in a bowl and knead, yes, knead the ingredients together so the flavour gets rubbed in. Let it rest for at least 10 minutes, preferably in the fridge. Serve. When I have this stuff in my bento boxes I usually up the bulgur ratio a lot and pack it in tight so I bring enough filling carbs to last me the day. 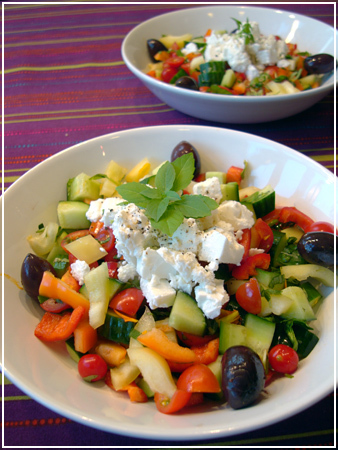 When I serve it with lots of other foods on a meze table, I put in a lot of refreshing parsley and mint. 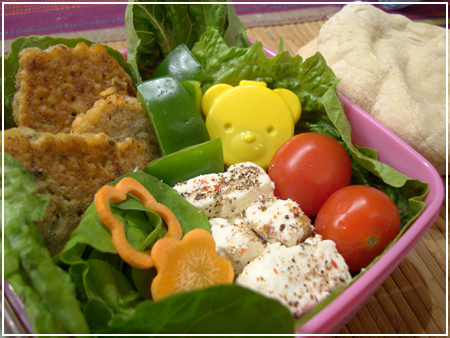 Bento #277 – Happy new year! 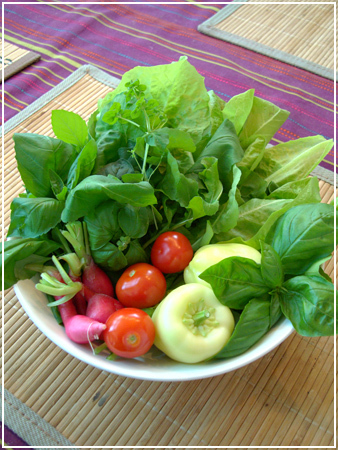 Ushering in the new year – and after all this holiday food and candy I had a HUGE craving for a big, green salad! So I stuffed the thermos section of my thermos box full of lovely green lettuce, carrots and sundried tomato strips. 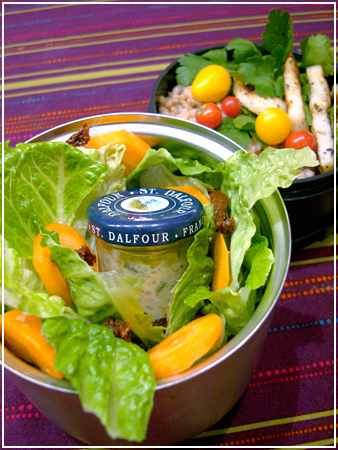 The little marmelade jar holds French vinaigrette. 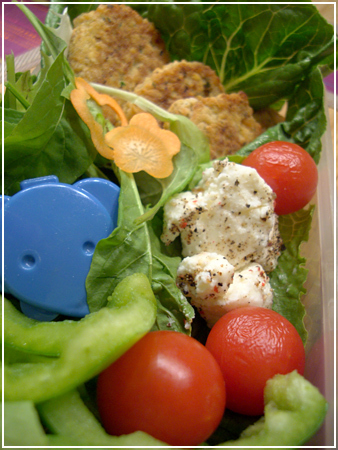 The other box has somewhat more nutritious spelt and a few pieces of Halloumi, and some parsley and cherry tomatoes as decoration.